Mitchell is excited to bring savings workshops and coupon classes to the central Minnesota area through Favado! We offer a variety of different classes on grocery savings, drug store savings, and more! You’ll find details on each of these classes below, as well as details about our upcoming classes. Mitchell Wischmann, author of FrugalFinders.com, will teach this 2-hour Grocery Savings Workshop. 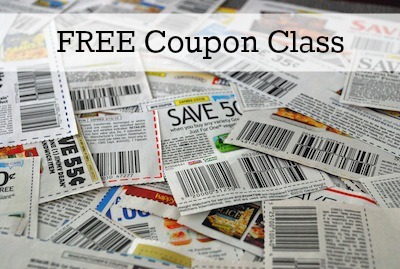 Following the workshop, attendees will leave with a better understanding of how to shop with coupons using strategic couponing and menu planning techniques and achieve savings of 50% or more! Learn how to avoid common marketing traps at the grocery store, and shop smarter! 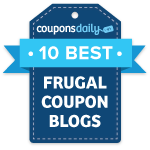 See exactly how coupons work, how you can use them to save at least 50% on your groceries, understand your stores’ policies, and keep all those awesome coupons organized! Get practical help with how to plan out your menu to save the most money while providing healthy meals for your family! You will receive a workbook to take lots of valuable notes during the workshop. So come prepared to learn, discuss and connect with others who are excited about saving money too! Mitchell Wischmann, author of FrugalFinders.com, will teach this 2-hour Drugstore Saving Secrets workshop. During the workshop, attendees will learn the saving secrets to drugstore shopping. I will teach you how to take full advantage of the rewards programs drugstores offer, begin to shop for free, and even understand how to make shopping profitable! In the Drugstore Saving Secrets workshop, you will learn all of the same techniques that smart shoppers use to spend pennies out of pocket each shopping trip. Discovering the secrets to save at the drugstores can assist in reducing your grocery budget even more. Receive a comprehensive overview of the policies and best shopping practices for CVS, Walgreens, and Rite Aid. Be prepared to leave the workshop ready to grow your stockpile of toiletries, cleaning products, household goods and even food. Come ready to learn, discuss and connect with others who are excited about drugstore shopping too! 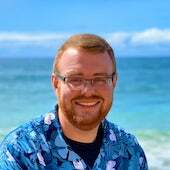 Mitchell Wischmann, author of FrugalFinders.com, will teach this 2-hour Holiday Savings workshop that will teach you how to save even more this holiday shopping season. I am able to save thousands during this expensive shopping season and am excited to teach you how to do the same! Save money before the first purchase is made. Earn and get free shipping with several online shopping strategies. Discover tips and tricks to shopping on Black Friday and Cyber Monday. Get simple and inexpensive Do-it-yourself gift ideas. Learn frugal and fast baking tips. Understand ways to save during holiday meal planning. Who knows, maybe this year will be the year that you have money left over from your holiday budget! It is possible and I can’t wait to teach you all my tricks! We currently do not have any classes scheduled. Leave your email address below and we’ll send you updates when new classes are added to the schedule! If you don’t live in the central Minnesota area, don’t worry! Savings.com has teamed up with bloggers in other areas too.